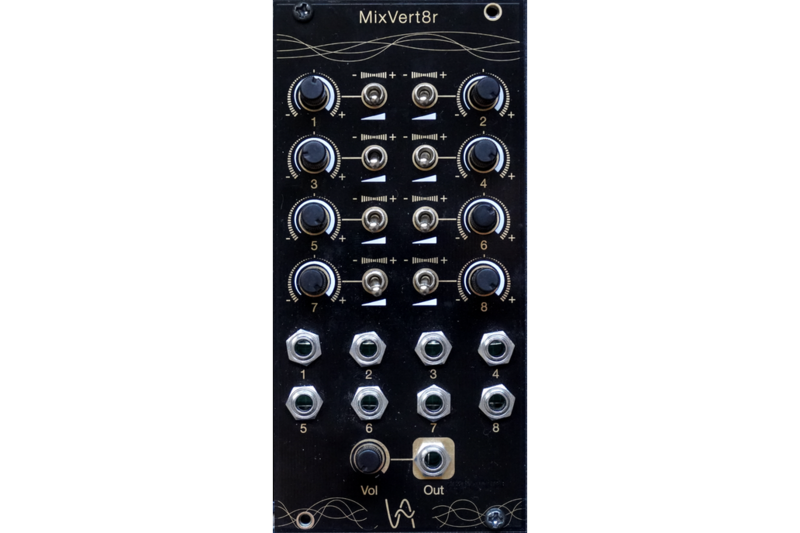 MixVert8r is a 8-channel CV and Audio mixer. 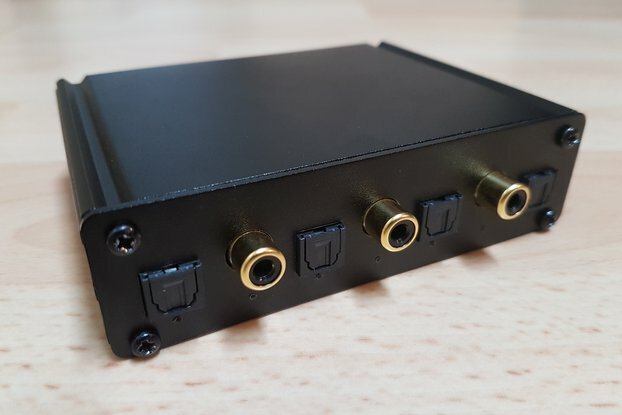 It supports summing of mixed signals (both audio and cv) for complex wave shaping and flexible modulation. 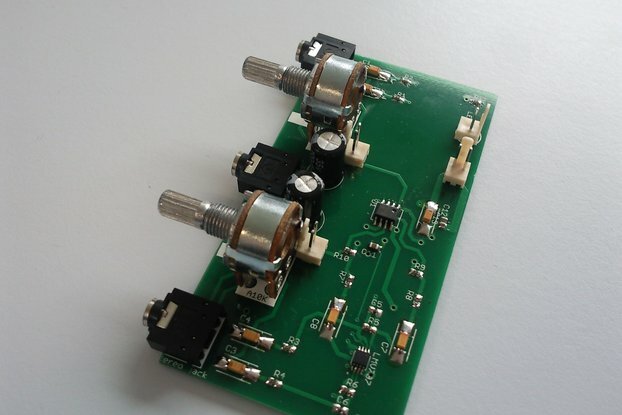 Each channel is switchable between Linear Attenuator and Polarized Attenuverter. Logarithmic attenuation on the output stage. 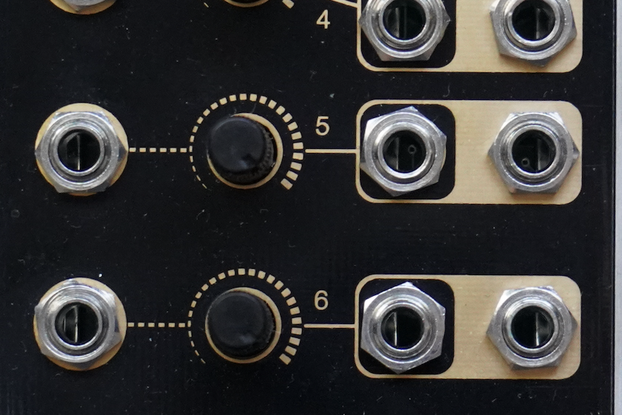 I'm a fan of the Make Noise style black and gold panels. 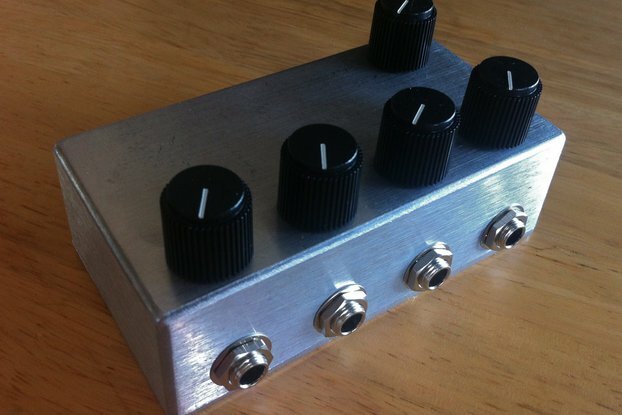 The polarized switches make this mixer pretty interesting. Packaging included a soft bag.